Machines fail in the presence of UFOs. Car motors stall out. Lights dim and go out. Radios fill with static. Televisions display interference. Major electrical grids have even been known to black-out in the presence of UFOs. Such claims of interaction with the physical environment - often referred to as electro-magnetic effects - have at times been felt by ufologists to be one of the most compelling proofs that UFOs must be real in a material sense. Such claims can not be reduced to hallucination. And it is an effect that has been seen in literally hundreds of cases and hardly dismissible as the occasional random accident. In 1981, Mark Rodeghier published a catalogue of 441 EM events associated with vehicle failures. He calculated this as roughly 1.5% of the UFOCAT pool of cases. His chronology includes one from as early as 1909 involving the temporary failure of a motorcycle headlamp. Two cases are listed in the 1940s, but involved testimony from 1957 and 1968. There are surprisingly few cases in the 1952 wave – two – a stalled car prior to a tall monster encounter and a radio dying inside a car that remains running while witnesses watch an “air blimp.” Neither really involves a saucer! Such effects become more strongly tied to UFOs in the French wave of 1954, when nearly two dozen E.M. cases surface. Databases list sporadic incidents for 1955 and 1956, but they appear to involve backdating, i.e the testimony is given years later. The Levelland flap of 1957 spawns nearly three dozen instances of E.M. interference. Thereafter, it is seems a constant presence in American UFO cases. Such fields, it was felt, would alter the magnetic signature of the metal bodies of automobiles in ways determinably different from those unexposed to such high kilogauss fields. They checked but found no evidence of changes. A more detailed consideration of the E.M. effects cases in the study tended to suggest’ alternative interpretations. In the January 1967 Richmond, Indiana incident [case 12], a professional secretary was driving on a rural road near her home at 2 a.m. in the morning. The landscape seemed brighter than could be accounted for by her headlights so she turned them low, then off, and discovered a luminous body over her car. It remained over her car ten or fifteen minutes. During the encounter, the accelerator would not function and she felt she was not steering the car. Afterwards she reported four malfunctions which investigators looked into. 1) The radio was weak and full of static. It turned out the antenna had broken off. 2) The speedometer read low. This was because of sticky lubricant in the speedometer cable and a broken die cast that increased bearing friction. 3) The battery did not charge properly and the ammeter read correctly. The fan belt was loose, thus the generator did not deliver enough charge to keep the battery up. 4) The oil gauge was stuck at maximum. This happened because corrosion near the transmitter element leaked electricity. In the November 1967 Elsinore, California incident [case 39], a businessman is driving through fog at about four in the morning in the middle of nowhere when his car, its lights, and its radio all go dead. A break in the fog revealed a hazy, reddish saucer that wobbled as it went by. After a minute and a half it is gone and his car came back to life. NICAP looked the car over and discovered afterwards the clock had stopped, some paint was loose, stereo-tapes in the car had lost some fidelity, and optical distortions could be seen on the back window. The Condon group did not contest these observations but made some interesting comments. The paint was thin in the area it was loose and it had the appearance of being “the result of corrosion.” The window distortion was identical to that of a car in a used car lot. Most fascinating was the failure of the clock. The clock was spring-driven and is only wound up by electricity. Interference with the electrical system of the car would not have stopped the clock at the time of the encounter. The witness was quite vague about certain aspects of the sighting, notably he could not be sure on which section of highway the encounter happened, which meant no firm sight-line could be established. This subverted any sort of analysis that could confirm or deny the anomalous nature of the saucer. Scientists could also object that the homogeneity of car stop cases gets a bit clumpy when you take a closer look. While half of Rodeghier’s cases involve a general failure of the engine and electrical system, one quarter involves the engine alone. Sometimes only the headlights fail. Sometimes only the radio fails. Sometimes headlights and radio fail without any engine problems. And while lore usually indicates vehicle interference is a temporary effect – the car re-starts after an encounter – thirty cases are known to involve permanent failure of automobile components. Just one – 23/3/1955 – involved nine separate subsystems – an anonymous six sentence account of flight instruction gone wrong over the Ryuku Islands. The pilot reports the UFO was looking him over when the engine sputtered and all his instruments failed. He dove to escape its influence, but it followed him down. Curiously, it is nearly the shortest narrative in the case catalogue and leaves many unanswered questions like whether a mechanic looked the plane over afterwards. Far be it from me to discourage ufologists from taking their problem to hardened scientists, but you don’t have to be a cynic to sense they are not going to come back with an enthusiastic verdict that alien spacecraft with huge magnetic fields can be the only or the best explanation. There has not been much written about this phenomenon in psychosocial circles. There has been the occasional observation that we’ve seen similar things in fiction. The items cited have been Koestler’s 1933 play Twilight Bar (Vallee, 1988), Bernard Newman 1948 novel The Flying Saucer (Vallee, 1988), and the movie The Day the Earth Stood Still. (Moffitt, 2004) An old case of a horse-drawn cart being brought to a stop in the presence of fairies has also been brought up as an early analogy. (Clark and Coleman, 1975) The armies of Egypt being stopped by God in Exodus have also been thought relevant somehow. (Downing, 1968) Maybe. I propose there is a larger backstory that needs to be told to give us a better understanding of how this idea that UFOs interfere with machines became part of the culture of UFO beliefs. 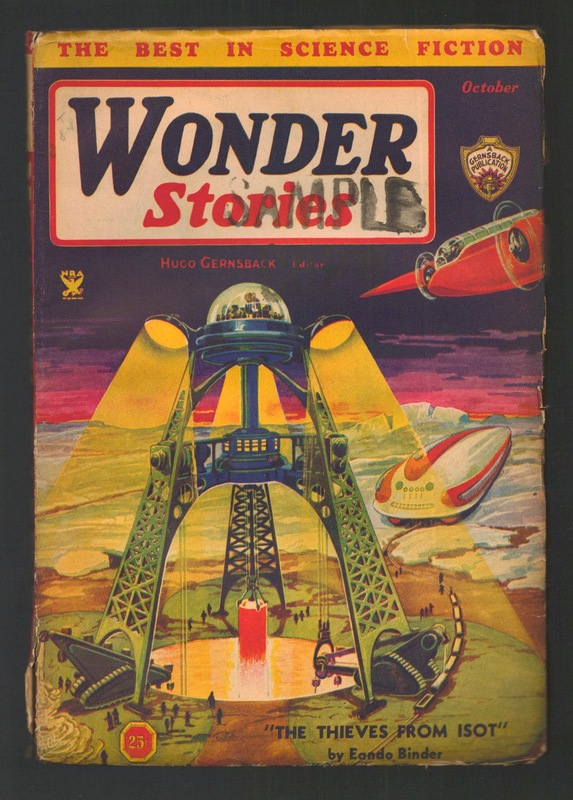 Hugo Gernsback, the father of science fiction culture, picked up on the possibilities inherent in Tesla’s work. In the August 1918 issue of his magazine Electrical Experimenter, he pens `The Magnetic Storm.’ Tesla’s lab manager, `Why?’-Sparks has a brilliant idea for ending the war. Soon German phones, planes, and automobiles will not function. Germany’s army is paralysed and the war is soon over. `Why’ had set up an enormous magnetic field by stretching wires along the front. It overloads electrical equipment and burns them out. The French equipment is unaffected by the storm. They are protected by a metal shield. Over the next few years, engine-stopping rays appear in the arsenals of several power-hungry individuals working with names like The Thunderer, The Master, The Masked Emperor of Urania. The King of the World, The Invisible Emperor, Boris Colin, and Saranoff. This is the pulp era and mad scientists in secret hideouts around the world were turning up distorting the marvels of science to evil ends. Some of them were erstwhile attempts at creating futuristic utopias far away from the corruptions of the present world. But some want to take over the world. The Thunderer, for example, turns out to be the airship of a mad eugenicist who wants to run the world like a stud farm. From his airship, he is able to control the weather and he is protected from attack because he can shortcircuit gasoline engines. The hero builds a super-plane with electrical shielding that enables him to catch up with the airship and end his reign of terror. [A.H. Johnson `The Thunderer' Air Wonder Stories, January 19301 (Bleiler 1998; entry 666] At least a dozen tales of engine-stopping rays wielded by cunning earth-folks appeared in 1930-2. A pair of beings come forth and warn everyone than mankind has three days to mend its ways or be destroyed. This is so a superior race could move in. A warning needs to be inserted here that Koestler’s play was never performed or published before 1945 and he admits to rewriting it slightly in 1944, so one must resist drawing any inferences that it had any cultural influence between 1933 and 1945. Needless to add, Vallee’s singling out Koestler as a precursor to UFO EM-FX was a distinctly highbrow choice. (Vallee. 1988, p. 167.) While Koestler was a world-famous intellectual, most of the people toying with engine-stopper ideas are pulpsters cranking out transient literature for mass audiences. “At the same time, Claire’s conception of a machine that could halt the tumult of everyday reality seems particularly prescient for the development of this genre, and especially its troubled construction of the technological. For the 1930s would see an array of works that moved in an at least superficially similar direction, films about fantastic rays, about devices designed to stop machines, about anti-machine machines, as it were. Such a device becomes another sort of ultimate machine, one which would give its possessor control over all other machines, and thus a sense of freedom from one of its central anxieties of the period: the nearly apocalyptic sense of a total loss of human control, the surrender of sovereignty to the machine. The narratives of works like Shadow of the Eagle (1932), The Mystery Squadron (1933), Air Hawk (1935). The Fighting Marines (1935), The Ghost Patrol (1936), Ace Drummond (1936), Flight to Fame (1938), and Q-Planes (1939), among others, would turn on the fight against these rayprojecting devices that literally rendered planes or other machinery inoperable.” – Telotte, 1999. 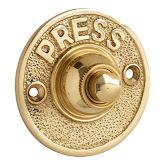 Rome, June 1- The curiosity caused by a communique stating that Premiere Mussolini and high army officers had attended a demonstration by Senator Guglielmo Marconi of an invention made by him has been increased by an admission by the inventor of the wireless. The Senator says he has been working of late on a line of research totally unconnected with ultrashort-wave and microwave experiments to which he had dedicated the last few years. No information has been made available, concerning the nature of his latest invention. It is said to be a military secret and as such will not be divulged for the present. 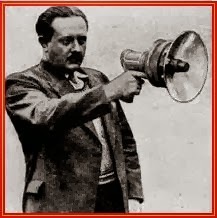 Some newspapers abroad have published in this connection reports that Senator Marconi had directed a new wireless ray against motor cars passing on a road near Rome, causing their engines to stop. The inventor denied this report. It is noted, however, that he denied having directed a ray against passing motor cars and not that he had invented or was working on the invention of a ray capable of stopping internal combustion engines. The denial does not, therefore, completely rule out the possibility that this is the research on which he is engaged. It is pointed out that this problem has already been solved in theory. The spark plugs of internal combustion engines are a miniature sending and receiving wireless stations, as every one knows who has had on occasion to note the way in which passing automobiles sometimes interfere with short wave radio reception. By emitting a series of impulses of a suitable wave length it should be possible to stop an engine, experts say, but the difficulty is to emit impulses of sufficient intensity to stop engines at considerable distances. There is nothing for the present, however, to indicate that this is the problem on which senator Marconi is working. Some persons are inclined to think he is working on tqlevision. The undoubted military character of his work seems to rule out that guess. Signor Marconi was asked about rumors that he has been experimenting with short-wave devices for paralyzing airplane motors in flight and replied that he had nothing to say. 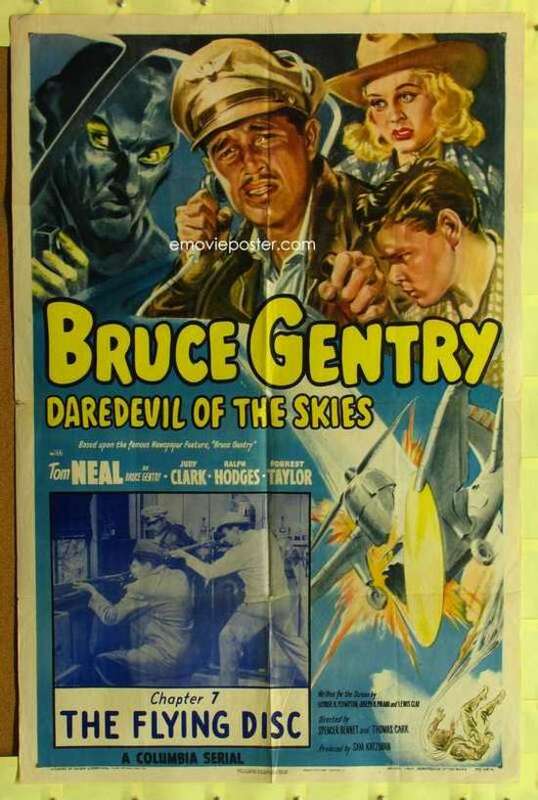 He is not the only man to have his name associated with an anti-airplane death ray. The claim that such a weapon is already available was made not long ago in France. But while it is easy to understand why a Frenchman should be anxious to work out a defense against air attacks, the reason is not so apparent in the case of Mr. Marconi. He cannot be thinking of Ethiopia because Haile Selassie has no airplanes to speak of It is Addis Ababa that needs a good practical death ray for use against Italian airplanes. Two hundred bombing planes left Naples for east Africa in one day. Since it was announced that Senatore Gulielmo Marconi is experimenting with a so-called “death ray” to halt airplanes and motor cars by ultra-short-wave radio flashes, inquiry among American radio experts reveals an inclination to look upon the idea as fantastic. To stop a motor, they explain, radio would have to interfere with the electrical system of the machine. Americans see no reason why the mechanism whether in pane or automobile, cannot be shielded from extraneous power: therefore, in reverse, the ignition system of the motor can be armored against radio impulses. A radio wave carries an infinitesimal amount of energy, and engineers are at a loss to understand how it might paralyze a motor or engine. And even if it could do the trick, the power is so feeble that the mechanism of a plane should be easily guarded from the invisible beam flashed to silence it according to radio technicians. The plane has an added advantage in that the higher it is in the air the less effective a radio beam might be, since it weakens rapidly as the distance from the transmitter increases. Dr. Goldsmith’s Opinion: “We know that radio sets in airplanes are easily shielded against the noises generated by the motor’s ignition systems,” said Dr. A.N. Goldsmith, consulting radio engineer and former president of the Institute of Radio engineers. “This shielding permits reception of weak communication signals arriving over hundreds of miles without interference from the plane’s motors and the same shield should be a good buffer against all other radio waves designed to affect the ignition and thus stop the flight. Dr. Frank B. Jewett, president of the Bell telephone Laboratories, said that while he knows nothing of the system being developed by Marconi, the report from abroad “sounds fantastic” in the light of present radio knowledge. Genoa, Italy Sept. 16. Reports that recent military maneuvers demonstrate that armies can be stopped by wireless rays developed by Senator Guglielmo Marconi led to questioning today of the inventor on the subject on the eve of his departure for South America. Such reports greatly exaggerate the facts.” he said. “It is true certain tests were made during the maneuvers. I was not present and in the circumstances you cannot expec~_me to say what was proved. I can only state that my work still is in the experimental stage and everything so far published is guess work. I regret some speculation published in English newspapers because they are based on false assumptions and expose me to criticism from other scientists.” Senator Marconi said he expected to go to Eritrea on his return from Brazil next month. Though Marconi’s denial is slightly ambiguous and allows the interpretation he expects to succeed in creating an engine-stopper ray in the future, this was either wishful thinking or reflects a desire to let people think he is doing important and dangerous work. Whatever the reason,. I take it as a given that this ray work never developed to the creation of a practical working device. However, the potential reality of engine-stopper rays was now firmly implanted in the p9pulation. The cachet of the Marconi rumours guaranteed that it would ferment in the collective imagination and yield still more intoxicating fantasies. “The years before 1939 were full of stories of an engine-stopping ray. As I heard the story in 1937 or 1938 it was that an English family on holiday in Germany would be travelling in a car when its engine would suddenly fail, invariably on a country road, and usually at the edge of a wood. A German sentry would then step out of the trees and tell them there were special tests in progress and that they would be unable to proceed. Some time later he would come back and tell them that it was all for them to start the engine again and the engine would immediately fire and they were able to drive off. “By this time I was becoming concerned with intelligence and one of my tasks was to ascertain the truth about the mysterious rays. At about the same time someone thought that it was a pity that the Germans should have a monopoly in the story and a parallel story was deliberately spread, hinting that we, too, had a ray. Within a short time we in Intelligence were flooded with similar events in England. We were astonished at the circumstantial detail that the public had added. In one instance, said to have occurred on Salisbury Plain, it was no ordinary family that was in the car, but a family of Quakers – and Quakers were well known for telling the truth. “Eventually, I got to the bottom of the story. The places most mentioned in Germany were the regions around the Brocken in the Harz and the Feldberg near Frankfurt. These were the sites of the first two television towers in Germany. A Jewish radio announcer at Frankfurt who escaped to this country was at first puzzled when I told him the story and then, with a chuckle, he told me that he could see how it had happened. In the days before the television transmitters had been erected, the engineers made field strength surveys, but these surveys were rendered difficult by interference from the engines of motor vehicles. “Under the authoritarian regime such as that of the Nazis it was simple to eliminate this trouble by stopping all cars around the survey receiver for the period of the test. Sentries, who were probably provided by the German Air Force, were posted on the roads, and at the appointed hour would emerge and stop all vehicles. At the end of the test they would then give the drivers permission to proceed. It only required a simple transposition in the story as subsequently told by a driver for the vehicle to have stopped before the sentry appeared, giving rise to a twoyear chase after the truth. “From a reliable source, the son of a late member of the United States Department of the Interior who was on a secret intelligence assignment in Germany in the summer of 1939, an event of the highest strangeness befell the city of Essen. During the traffic rush hour everything mechanical and electrical stopped – cars, buses, streetcars, motorcycles, clocks. At least one other ufologist shows awareness of these war rumors, but inevitably takes them without the necessary salt. In the September 1977 Saga UFO Report, John Keel has an article titled `VLF – Marconi’s Space Age Weapon’ (pp. 13-14) that alleges Marconi used Very Long Frequency waves in his experiments that caused cars to stall. He alleges similar mass stalling of autos occurred in Germany in 1930 and in a 1941 incident when a 15-year old stumbled upon the secret. Marconi was unable to focus these waves and the antenna system is too large for easy transport. Keel alleges VLF signals carry strange chattering voices and other strange sounds due to sunspots and aurora borealis and rocket launches. They can also cause electric meters to run wild and create bills of thousands of dollars. He alleges sinister forces could use VLF waves to blow all fuses in Russia. The sources used for his article are not volunteered and thus can not be checked. That we are dealing with recycled rumor and misinformed speculation is hard to avoid here. As we roll up to the beginning of the saucer era we should provide more of the fictional backdrop building up in the culture. The following day – 7 July 1947 – six ‘plate-like objects’ hovered over a power line in the Hollywood, CA area at 3:10 p.m. They are small, stationary, and not too high (Bloecher, 1967, p. 1-11; case #637) they are accompanied by some radio static. The possibility of coronal discharge springs to mind as a likely explanation for both the objects and the static. In concert with this side-to-side motion, he observed that the needle on the magnetic compass he happened to be holding also waved side to side. One could debate the value of this report. Technically speaking, neither Arnold nor Johnson reported properly circular objects. Both potentially have mundane explanations. (Kottmeyer 1997) More, no vehicles stop or instruments malfunction during their sightings. Suffice to say; in the fullness of time, it contributed to a body of opinion that saucers were propelled by magnetic drives. These drives, in turn, would be blamed for creating EM-FX. After further inspection by the craft, he senses an urge to restart the engine. He snaps on the magnetos and the motor bursts back to life. (Wilkins, 1967/54) The full version feels like a distant parallel to Murder in the Air peppered with Fortean spices. It is unclear if anybody ever bothered to investigate it, but to my ear it reads like a blatant fiction, not an authentically experienced incident. This results in plane crashes and the stopping of a convoy of trucks and jeeps, including, weirdly, those with diesel engines. Readers of Rodeghier’s book will note that diesels are also stopped in ‘real’ UFO reports. It should be observed that these engine-stopper rays do not emanate from saucers per se, but metal towers attributed to aliens that are fakery. In the film classic Day the Earth Stood Still (1951), a handsome alien named Klaatu lands in Washington D.C. in a great flying saucer. An Einstein-like scientist suggests to him the value of making a demonstration that would prove his power without killing people. He interferes with all electrical power on earth except in hospitals and aircraft. This makes human civilization stand still for one hour. Some may fairly wonder why this didn’t create vehicle-stopping saucer cases in the ensuing flap of 1952. At least a couple things stand in the way. One: we don’t see this happening while the saucer is in flight. Two: it happens over the whole planet. This is something that clearly won’t spontaneously happen in real life as simple single-car malfunctions could. There is one other answer. Not only did contactees borrow such things as zipperless jumpsuits and warnings to stop nuclear technology from this film; one actually did have the chutzpah to borrow the titular plot device. George van Tassel reports one his Space Brothers, named – I kid you not – Knot – claimed the ability “to shut down everything electrical on earth” with what he calls his Jullifer. The serial Blackhawk, chapter 6 (1952), introduces a scientist who has harnessed “the destructive force of the electronic combustion ray.” It is an invisible ray that travels at three times the speed of light and is attracted to a target device made of a secret metal. It utilizes compressed static electricity. “At full power it could level an entire city.” In the serial it only destroys a chair. When pointed at Blackhawk and a colleague it induces a state of suspended animation. Later, spies from the old country point it at a plane flown by Blackhawk and the electronics catch fire, the engine sputters, and Blackhawk has to bail out. Oddly, this time Blackhawk and his colleague forget to go into suspended animation. A robot disc, recycled from Bruce Gentry, flies in a later chapter, but there is no direct association to the new ray. Clearly we are back in the mad scientist tradition. George Pal’s 1953 production of War of the Worlds is tangentially relevant. When the invader Martians arrive on Earth a nearby town experiences blackouts on both the electrical and phone grids. Hearing aids and watches also stop. In this instance there are hints that this is less a weapon being wielded than side effects of a powerful field. A scientist seeing the stopped watch asks for a pin. It leaps at one of the pocket-watches. One of the writers clearly did their homework for this is a set-up for a later moment when the main character infers the Martians levitate above the landscape using magnetic flux. A field strong enough to hold up tank-like vehicles the size portrayed would certainly fry power grids over a large area and cause metal objects to become highly magnetized like those watches. Devil Girl from Mars is a fairly minor alien invasion film, but it is notable British production. The presence of a companion robot to the lady pilot pretty clearly points to inspiration by The Day the Earth Stood Still, thus the role of the engine-stopping in that film being the root of this manifestation is a logical possibility. What is unclear is whether engine-stopper cases in the French Wave of 1954 might have served as a likelier source of the scene. In America the film was released 27 April 1955, but there is little information here to pin down when it was made and shown in Britain. I think the possibility of precedents from the French wave must be taken seriously, but it is not a critical matter given all the other precursor material. I confess that while it would be lovely to suggest how it is that EM-FX first frequented France in their 1954 Martian Panic I didn’t study the matter. My interest was more geared to the American situation. I have my reasons for supposing the 1954 French affair had no connection to the ascendance of the idea in America in 1957. While Devil Girl from Mars fascinates as an early film manifestation of the engine-stopping ray and part of a decades-long evolving concept, there are compelling reasons to deny its relevance to the start of the rumor complex in the American saucer mythos. It is not a missing link, but part of a side branch. Now the curious bit is that Hall wasn’t thinking of saucers as aliens in this line, he believed them to be earthly spycraft. He absolutely had not seen anything in existing reports suggesting this linkage. Nobody anywhere had yet reported this effect. It might have resulted from that foo-fighter connection suggested in 1947, but Hall surely had not seen Keyhoe’s re-use of the article since his book was several days away from general release when he wrote this. It is tempting to regard Manly Hall’s speculation as uniquely prescient. The first time I read it that was my reaction. But I’ve come to realize its importance is actually as a show of anticipation. The linkage of engine-stoppers to saucers was a progression that is not merely something we can say post hoc should have been expected; it actually was expected. I feel I should emphasize that Hall’s lecture was probably heard at most by a tiny handful of people in 1950 and remained a lost bit of esoterica for decades. It is fascinating not because of any potential influence it had – I feel the possibility of that is surely zero – but because it demonstrates the idea that saucers could stall engines could easily have taken flight as early as this date if the right set of circumstances had come along. Obviously though they did not. In the United States, the right circumstances did not take place until 1957. While ufologists will quibble and quarrel over whether there is a significant presence of EM-FX in the first decade of saucer history, it is beyond dispute that a major landmark occurred during 1957 that locked in engine-stopping as a property of UFOs. The tipping point in the sudden ascendance of the trait was a cluster of reports that happened in Levelland, Texas on the evening of November 2-3. The story has been told many times in the literature. It has even been regarded as one of the ten best UFO cases. (Story, 1981). Peter Rogerson’s 'Levelland, the Last Redoubt', on the Magonia site reviews several versions. Antonio Rullan’s paper provides an in-depth dissection of the evidential issues from a critical historian’s stance and should be regarded as an essential forerunner to understanding what follows. My account will focus in on what I regard as the elements of most relevance. The first, most important and best attested, part of the Levelland incidents involved a farm-hand named Paul Saucedo who had a companion Joe Salaz with him while driving a small truck along Route 116. A yellow-white light raised out of a nearby field, passed directly overhead accompanied by a sound like thiunder and a rush of wiind. The felt heat from the object. It was torpedo-shaped, like a rocket, and its length reached around 200 feet. He felt it must have going 600 to 800 miles per hour. The engine and headlights on the truck failed as the object approached. As it departed, the headlights came back on and he found he could start the truck without difficulty. These points seem more consistent with jet or rocket propulsion and so the object was likelier regarded as a manifestation of earth technology than one of extraterrestrial origin. Given the smoke and flame, we are clearly not dealing with the sort of elegant magnetic drive that floats saucers over landscapes suggested in other cases e.g. Betty and Barney Hill, Father Gill, and Exeter. The one Ufologist to take notice of this killer detail – Kevin Randle – somewhat blindly complains that this can’t explain the Levelland incidents because truck rocked from the blast and he there are several other reports of automotive failure and obviously they can’t all involve broken rotors. This, however, is wielding Occam’s Razor with the blunt edge on the skin. It is unambiguously certain no extraterrestrial forces are involved in Saucido’s case. The fact that it was in the shop the day before allows no wiggle room for re-interpretation. Since we know there can’t be any physical relationship between the sighting and the failure of the engine in the first case, it would be a ridiculously unlikely coincidence that the subsequent reports are correctly explained by engine-stopper rays or cosmicallypowered magnetic fields either. Parsimony dictates these are copycat reports in some sense. The scenario possibly runs something like this. Not yet knowing the real reason for why Saucido’s truck failed, a rumor races through the community that the old Marconi rumours of engine-stopper rays are true and that they appeared on a secret device seen in the immediate area. Enhancing both the credibility and shock of the rumour is the fact that the Soviet Union had in the past month recently sent up two Sputnik satellites. They were widely recognized as an advance in ballistic missile technology and reinforced the concern that Soviets could strike anywhere on Earth. More closely relevant to this situation, the Associated Press had recently reported that a Schenectady, New York doctor claimed the initial Sputnik was somehow opening his garage door. Similar reports quickly followed all across the nation. Though some of these copycats were clearly jokey-types looking to get their names in the papers, there were legitimate people like a hurricane researcher in Florida named John M. Williams whose garage door was alleged to have been opened three times by Sputnik. (Dickson, 2003) In this atmosphere of fear and gossip about long-distance electronic mischief, a report of an electronic rocket stopping a car has obvious resonance and imminent plausibility. Ronald Martin, an 18-year truck driver, was interviewed by one journalist from the Lubbock Avalanche Journal, but not by the Air Force or police. Rullan cites a Civilian Saucer Intelligence rumor indicating this person could not have been where he said under the circumstances described – thus, his claim is a probable hoax. Shapes: torpedo, loaf of bread, ball. Sizes: ranging from under 30 feet to over 200 feet. Colours: blue, white, orange.Motions: horizontal motion versus vertically drpping versus vertical ascent versus hovering. Sounds: “like thunder” versus no mention of any. Two see it blinking on and off, but others don’t. Given such differences it seems doubtful that one object was responsible for all the descriptions. (Rullan, 1999; “Searching for Patterns” section) More likely, these involved opportunistically-present objects over-interpreted in the heat of the moment and copycats who got Saucido’s central concern of failed engines and lights right, but the finer details of the local sputnik/saucer wrong. In the first category, Sheriff Weir Clem’s UFO is described in the AF report on the Levelland incidents as a streak of light that lasted two seconds. This sounds ideal to be a meteor and the trajectory – south to west – would be consistent with one streaking away from the radiant of the Taurid meteor shower. It normally peaks on November 3rd. Newell Wright’s account is also in this category. Nobody disputes Wright was a credible witness. Basically he sees a light with some shape to it – eggshaped or like a loaf of bread. The light was bright enough to be reflected across the width of the two-lane road he was driving. Wright said there were heavy clouds and light rain falling at the time of the encounter. While he now believes he may have seen the object for four or five seconds; originally he thought it lasted four or five minutes. If seconds, this suggests the lightning plasma idea is plausible. Historical investigation usually however favours the earliest testimony. If minutes, we are likelier confronted with the possibility this is a low distant airplane landing light seen below the leading edge of the cloud deck. The Air Force probably didn’t appreciate the local character of the low clouds as weather records later indicated. They may have took Wright’s account of low clouds as involving the whole sky and so discounted this possibility of a plane being visible. One needs to remember that from the perspective of the observer the plane can be much higher than the cloud deck, while its angular altitude still is below the angle of the leading edge of the low clouds. The bread loaf shape is also better accounted for by lights on a distant plane. Given the light rain, the road had to be wet and highly reflective. This fits the glow spanning the whole width of the road. The car’s problems are consistent with water fouling the distributor or spark plug wires. As the car stands still, the heat of the engine dries the distributor and wiring and allows the motor to restart. The water would likeliest have splashed up from a puddle on the road. I have driven cars in the past that behaved that way in rainy weather myself. Wet electronics makes better sense of the car restarting. A massive field of force would more likely irreversibly fry things such as the generator than temporarily futz with it. It is noteworthy that A.J. Fowler, the police officer who gathered most of corroborative testimony, stated recently he has always believed and still believes the object involved was something the Air Force was experimenting with. (Rullan, 1999: The Extraterrestrial Spaceship Hypothesis section) Thus, there was a believer in the secret weapon strand of UFO belief who was playing an important role in building the significance of this premiere case of engine-stopping saucers. It bears repeating that skeptics object that a different pattern of effects should have been seen if a massive field of magnetic forces was involved. You wouldn’t get just a few reports of engines dying. You would get massive electronics failures – hundreds of fried radio components, city-wide blackouts, large areas of magnetized metals e.g. magnetized road signs and bridges and railroad tracks. And this problem is symptomatic not just of the Levelland case, but electromagnetic-effects cases generally. If you had a large, clearly defined area of massive electronic disruption, scientists would be compelled to believe something real and strange had happened. The problems reported in the UFO literature always look more consistent with the entropy of the everyday, modern world. Levelland, Texas catapulted to national attention after word of the UFO-generated car failures hit the papers. Journalists quickly labeled the UFOs in the incidents Whatniks. They doubtless sensed there was a cause and effect relationship between the Sputnik crisis then uppermost in public consciousness and this outbreak of technological mayhem. (Girard, 1989) The word added a jargon-y cachet on the reports and guaranteed slang-froids would try to work the tales into their gossip of the day. As UFO reports massed up in the glare of the dawn of the Space Age, it surprised few people that this new wrinkle in saucer phenomena caught on. Nearly 3 dozen EM-FX reports surfaced during the 1957 flap, according to Rodeghier’s case catalogue. Undermining the idea this was a new development in terrestrial secret weapons is the fact that the reports quickly spread to places as far flung as Canada, Alaska, Ohio, Louisiana, New Hampshire and Brazil. Had they stayed within range of a single base of operations, the plausibility of the idea might have been maintained. The ETH might be regarded as a better fit to wide distribution, but the choice of targets remains hard to understand – cops, taxi drivers, milk delivery men, housewives, and a grain buyer. While the flap in its entirety was smaller than the 1952 flap, its peak day – November 6 – actually had Blue Book receiving more reports than any single day in its history. Arguably, this intense burst may reflect the personal vulnerability that car owners felt over the possibility that the Soviets might have a way of taking away their freedom in a way that mattered most to Americans. The flap dissipated much quicker than the 1952 affair accounting for a smaller volume when totalled at the end of the month. There are a number of possibilities for the brevity: an outbreak of ‘Take me to your leader’ jokes, some silly alien dog-napping stories, a contactee who was quickly shown to have a police record. Maybe it was something else. Though the flap was brief, the rumour about engine-stopping did not die. “Mr. Lorenzen was the first to suggest, in all seriousness, that if we take into consideration the foo-fighters’ study of planes in the latter part of World War II the later close-range observation of cars by the UFO, it would appear that a weapon had been devised to disable their propulsion systems, and that the weapon was being tested on different types of vehicles under various conditions, weather included. The ghost of the Marconi rumours had yet to find its resting in peace. By the Seventies, though, the weapon-of-the-future idea faded. The Lorenzens scaled down the import of engine-stoppers to a mere convenience in helping aliens examine humans at leisure. Engine-stoppers, they suggested, enabled aliens to abduct and explore human bodies and minds by stopping cars so they could retrieve their occupants. Even in this, the trait gradually faded in relevance as abductions moved more and more into bedrooms. EM effects are slowly disappearing from the UFO culture. Whitley Strieber’s Confirmation documentary (1999) was lucky enough to find one case to re-construct involving police cars, but it is distinct rarity these days. My impression is that not one in a thousand of the reports in the NUFORC database involves engine-stopping. It is also notable how discussions of EM-FX in recent writings rarely mention electronics failures of any vehicles from the 1980s or 90s. One factor that likely contributes to this decline has been the progressive improvement of automobile electronics. Back in the 50s and 60s I personally experienced the frustration of several times having to re-adjust the spark gap of distributors in our cars and trucks when engines began to run rough and stall. Mechanical friction would wear away the mechanism that opened the spark gap till they failed to create a spark. Sometime in the 70s, the spring-loaded gap was replaced by a solid-state unit that no longer wore down mechanically. There is nothing inside distributors to adjust any more. This alone probably lowered the rate of engine failures across the nation by a couple orders of magnitude. EM-FX in other devices, of course, still are a commonplace especially it seems in devices researchers set up to capture evidence of Grays in abduction cases. Once in a while we see the odd variant like the case of an electronic wheelchair disabled in the presence of an UFO. It may be worth mentioning there are quite a few claims in the UFO literature of breakdowns having nothing to do with electronics at all. It would require some sort of pan-entropic accelerator to cover all the odd problems blamed on UFOs over the expanse of UFO history from fires to sexual dysfunctions. This would stray beyond the present story, however, and require a book to deal with. So, let’s draw the line here and sum up. The ability of UFOs to disable car engines has traceable roots in a large literature of future-science fantasies and war rumours. I hope future historians will especially take on board the realization that the Levelland classic is not related to The Day the Earth Stood Still as has been suggested from time to time. Rather it is based in rumours about terrestrial secret weapons developments. Ufologists may think that gathering these reports for scientists will have some practical outcome down the road (UFO Evidence, 2005; Cashman, 2004; Orion, 1997), if only in the matter of enhancing public safety. The drift of the evidence to date shows no hint that will ever happen. The papers presented in recent years are notably sterile in being able to offer any physical mechanism that can act in a manner consistent both with the limited nature of the effects seen in reports and a superior technological cause. However, as one of the psychosocial school, I do thank all of those who did the spadework in gathering all those stories. You may not regard this history lesson as of any practical benefit, but, all the same, it was one well worth telling. Binder, Otto. What We Really Know About Flying Saucers Fawcett Gold Medal, 1967, p. 75. Bleiler, Everett. Science Fiction: The Early Years Kent State University, 1990. Bleiler, Everett. Science Fiction: The Gernsback Years, Kent State University, 1998. Bloecher, Ted. Report on the UFO Wave of 1947, author, 1967. Bojars, Nick. The Beauty of the Flying Saucer, Raven Publishing, 1979. Cashman, Mark. “Project 1947: EM Effects Catalog” Temporal Doorway website, 2004: temporaldoorway.com/ufo/catalog/emeffect/ index.htm. Clark, Jerome & Loren Coleman The Unidentified, 1975, pp. 55-6. Clarke, L.F. Voices Prophesying War 1763-1984 Oxford University Press, 1966. Corliss, William R. Strange Phenomena: A Sourcebook of Unusual Natural Phenomena, Volume G-1: Corliss, 1974 : GLD-012; Luminosity Accompanying St. Louis Tornado of February 10, 1959 & GLD-015; Luminous Phenomena in Nocturnal Tornadoes. Dickson, Paul. Sputnik: The Shock of the Century Berkley, 2001, p. 115. Downing, Barry. The Bible and Flying Saucers, J.B. Lippincott, 1968, pp. 90-3. Fawcett, George. 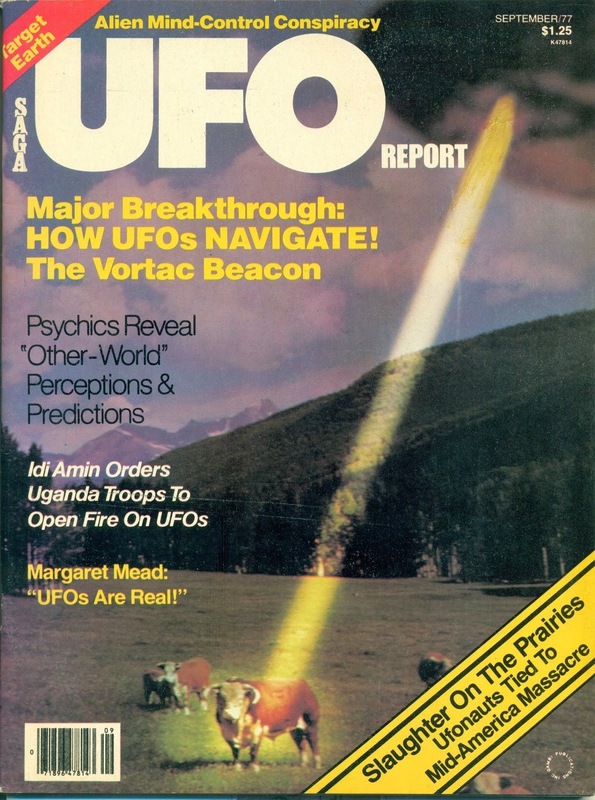 “What we Have Learned from UFO Repetitions” MUFON 1985 UFO Symposium Proceedings, pp. 21-40. Gillmore, Daniel S. ed. Scientific Study of Unidentified Flying Objects Bantam Books, 1968. Girard, Robert. An Early UFO Scrapbook, Arcturus Book Service, 1989, p. 170. It reproduces a United Press clipping titled “Flying Whatnik Reports Come from Many Sectors” dated 7 November 1957. Gross, Loren. UFOs: A History: Volume 1: July 1947 – December 1948 Arcturus Book service, 1982, pp. 18-19. Haines, Richard. “Fifty-Six Aircraft Pilot Sightings Involving Electromagnetic Effects” MUFON 1992 UFO Symposium Proceedings, pages 101-129. Haines, Richard & Dominque Weinstein, “A Preliminary Study of Sixty Four Pilot Sighting Reports Involving Alleged Electromagnetic Effects on Aircraft Systems” National Aviation Reporting Center on Anomalous Phenomena website; May 15, 2001 httpa/www.narcap.org/REPORTS/Emcarm. htm. Hall, Manley Palmer. “The Case of the Flying Saucers” 12pp lecture notes, 2 July 1950. The copy of Hall’s lecture I have is printed from a webpage accessed August 1998 titled “A 1950 Lecture on UFOs by Brother Manly P. Hall” when it appeared on the Blue Brethren website. It is no longer present on the Web. Hardy, Phil. Encyclopedia of Science Fiction Movies Woodbury Press, 1984. Hendry, Allan. The UFO Handbook Doubleday/Dolphin, 1979. Jones, R. V. “The Natural Philosophy of Flying Saucers” in Daniel S. Gillmore, ed. Scientific Study of Unidentified Flying Objects Bantam Books, 1968,Appendix V; pp. 923-4. Kanon, Gregory. The Great UFO Hoax, Galde, 1997, p. 43. Keller, Donald H. “The Conquerors” Science Wonder Stories , December 1929-January 1930. Keyhoe, Donald. The Flying Saucers are Real Fawcett, 1950, p. 35. Koestler, Arthur. Twilight Bar: An Escapade in Four Acts MacMillan, 1945. Kottmeyer, Martin. “Bruce Gentry, Serial Filler” Magonia Monthly Supplement #18 August 1999; pp.1-2. Kottmeyer, Martin “Resolving Arnold – Part 2 – Guess Again” The REALL News, 5, #7 July 1997; pp. 1, 5-9. Lorenzen, Coral E. Flying Saucers: The Startling Evidence of the Invasion from Outer Space Signet, 1966, pp. 153, 157-8. See also p. 196-7 for more of this being a weapon. Moffitt, John. Picturing Extraterrestrials: Alien Images in Modern Mass Culture Prometheus Books, 2003, p. 330. Newman, Bernard. The Flying Saucer, MacMillan, 1950, pp. 253-8. Newsweek. “UFO-Watcher Watcher” Newsweek March 20, 1967, p. 111. Nova, “Tesla – Master of Lightning – Colorado Springs” PBS website document. Randle, Kevin. Scientific Ufology Avon, 1999, pp. 20, 25, 63, 68. Randles, Jenny. “Re: Debunkers’ Guidebook – Randles” UFO Updates, 19 April 2001; 11:36:33. Ridpath, Ian. “A Spanish Close Encounter Re-examined” Magonia 22 May 1986, pp. 7-8; archived on his site Ian Ridpath’s UFO skeptic pages. Rogin Michael. Ronald Reagan, the Movie. University of California, 1987 pp. 1-3. Sherman, Harold. The Green Man and His Return, Amherst Press, 1979, pp. 10-14. Story, Ronald. UFOs and the Limits of Science William Morrow, 1981, pp. 1559. Story, Ronald. Encyclopedia of Extraterrestrial Encounters New American Library, 2001, pp. 306-8. Leonard Stringfield, Situation Red: The UFO Siege Fawcett Crest, 1977, pp. 945. Telotte, J. P. A Distant Technology: Science Fiction and the Machine Age Wesleyan University Press, 1999, pp. 78-9. Vallee, Jacques. Dimensions: A Casebook of Alien Contact Contemporary Books, 1988, pp. 167-8. Wilkins, Harold. Flying Saucers on the Attack. Ace Books, 1967, 1954, pp. 70-1.